>Met with agent – she requested full. Met with Harlequin editor – she requested partial. Went to several workshops and took notes. Met an online CP that I’ve critiqued with about 6 yrs. Saw another online CP again this year. Saw a lot of my chapter mates from Georgia Romance Writers. Had lunch at Big River with two editors from Belle Books who are also chapter mates and terrific ladies. Ate at Cat Cora’s restaurant, Kozzina’s twice for breakfast – Yum! In the morning, it’s back home to my hubby. Next week I start requested revisions on a full with Red Sage and finish plotting out my next book. 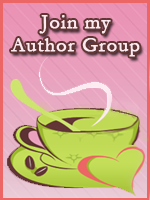 This entry was posted in CP's and tagged conference, CP's, GRW, Harlequin, Red Sage, WIP's. Bookmark the permalink. >Busy girl! You rock. Glad to hear you had a good conference.Got my fingers crossed on the Red Sage revisions and your other subs. Sounds like good things are heading your way!